FREEMASONRY is first and foremost a fraternity. It is also " A Way of Life." The brotherhood of man under the fatherhood of God is primary - this means that its activities should always be designed to promote friendship, morality and brotherly love. 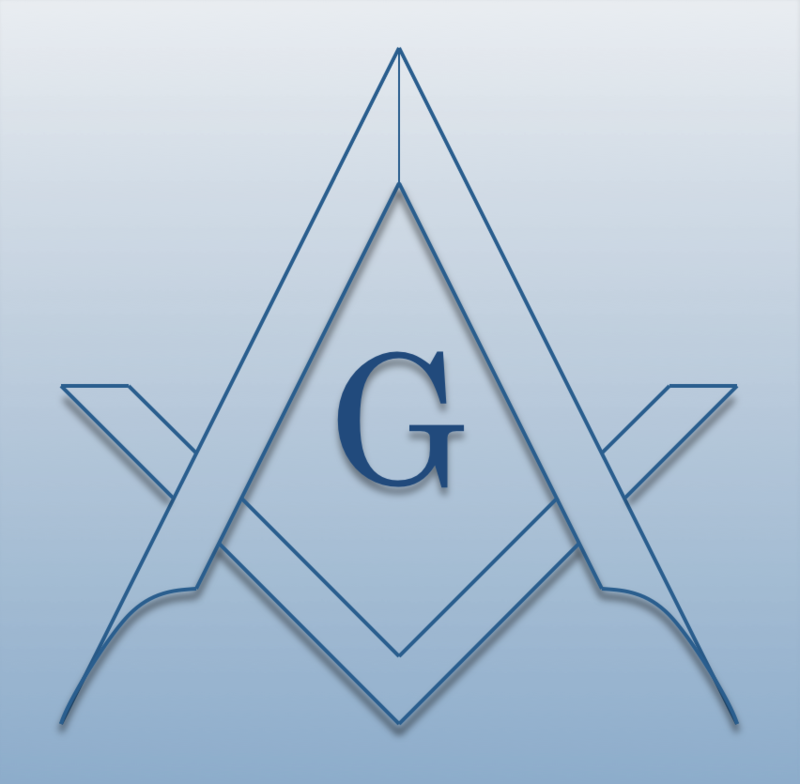 Freemasonry is a unique institution that has been a major part of community life in America for over two hundred and fifty (250) years. It is America 's largest and oldest fraternity, and one that continues to be an important part of many men's personal lives and growth. Although Freemasonry is not a religion, its emphasis on the Fatherhood of God ensures that the Brotherhood of Man follows naturally. This coupled with the obligation to abide by the Golden Rule, particularly with a fellow Mason, makes for one of the strongest bonds of society. When you meet another Mason, the odds that he will treat you as you would like to be treated are very high indeed. Freemasons come from all walks of life - from the rich and famous to the poor and obscure. Masons are men who have joined together to improve themselves. The latter is accomplished through the principles and ceremonies of the fraternity and the application of those in their homes, in their work, and in their communities. They endeavor to extend Masonic lessons into their daily lives in order to become positive influences in their homes, communities, nation, and throughout the world. They base their efforts on morality, justice, charity, truth and the laws of God. Worldwide, membership encompasses millions of men who believe and support the same fundamental principles. A Mason is a man who professes a faith in God. As a man of faith, he uses the tools of moral and ethical truths to serve mankind. A Mason binds himself to like-minded men in a Brotherhood that transcends all religious, ethnic, social, cultural, and educational differences. In fellowship with his Brothers, a Mason finds ways in which to serve his God, his family, his fellowman and his country. A Mason is dedicated. He recognizes his responsibility for justice, truth, charity, enlightenment, freedom and liberty, honesty and integrity in all aspects of human endeavor. A Mason is such a man. A generally accepted definition is "Freemasonry is an organized society of men, symbolically applying the principles of Operative Masonry and architecture to the science and art of character building." The working tools and methods of the ancient craftsman are used to help portray fundamental truths. As an example, let us look at the working tools of the Entered Apprentice, the 24-inch gauge and common gavel. These were used by the operative mason to measure lengths, widths and heights and to break off the corners of rough stones, but a speculative Mason is taught to use these to manage his time and to remove the roughness from his character, thus making him a better person. What is Freemasonry to you? In the home, Masonry is kindness and fidelity. In business relationships, Masonry is honesty and veracity. In my daily work, Masonry is thoroughness and dependability. In social contacts, Masonry is moderation and self-control. Toward the fortunate , Masonry is congratulations and best wishes. Toward the weak , Masonry is compassion and assistance. Toward wickedness , Masonry is rebuke and resistance. Toward the penitent , Masonry is forgiveness and another chance. Finally, toward God , Masonry is reverence, love and obedience. The quotation by John Ruskin at the beginning of this chapter summarizes the lesson that Freemasonry would like to give to the world. It is often said that the purpose of Freemasonry is "to take a good man and help him to become a better man." It does so by offering a man who becomes a Mason opportunities to improve himself. If you are to profit from Freemasonry to the fullest extent, you must work at applying the lessons in your daily life. The lessons of Freemasonry are timeless, but we learn from them by doing . Nothing worthwhile has ever been achieved without effort. It takes effort to understand the teachings of Freemasonry, because they are illustrated by symbols and taught by allegory. What are the lessons taught by a "flight of winding stairs," or the importance of "the point within a circle?" Why were you the central character in the play set around events connected with the building of King Solomon's Temple? What do the ruffians represent and why were you blindfolded when you met them? When you teach by symbols and by allegory, you are talking to each man as an individual, because he interprets the symbols and the allegory according to his own experiences. That is the strength of the method, and it provides ample opportunity for men to share their interpretations with each other thereby broadening the perspectives of everyone. We call our form of Freemasonry "Speculative", because we are encouraged to ponder the meanings of the lessons taught in terms of our own experiences. Whenever you teach by symbols or allegory, it is possible that your message may be misunderstood. There is the apocryphal story of the elementary school teacher who brought two jars of worms to school one day. In one, she poured some water and the worms continued to wriggle and squiggle like all healthy worms do. In the other, she poured some alcohol and the worms shriveled up and died. She then asked the class, "Did you all see what happened?" "Yes, teacher!" "Did you all learn from this?" "Yes, teacher!" "Well, what did you learn?" One little boy waved his hand. "Johnny, what did you learn?" "I learned that if you drink gin, you won't get worms!" Now, that probably was not the lesson that the teacher intended with this demonstration, but such are the dangers of free interpretation. To prevent such misunderstandings, it is necessary to ask questions of those men whom you respect for their interpretations or explain yours and ask for comments. Open discussions in Lodge are necessary and a useful part of our education.